With Valentine's Day just a week away, you'll want to get shopping for your loved one if you haven't already. I bought Sean the most unromantic gift last year because I knew he would love it and it proved to be his favourite gift ever. Just goes to show that taking into account the recipient's personal taste is one way to make sure your gift is a hit. And there's no taste I'm more familiar with than that of the design blogger. 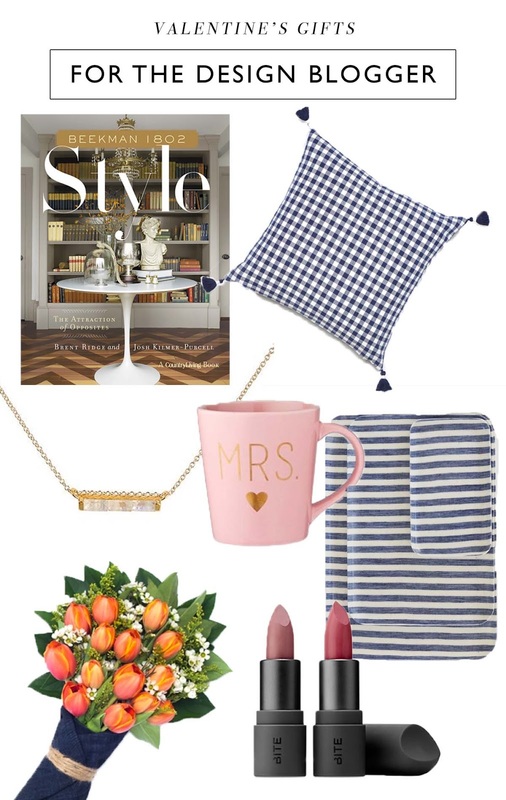 These items would look great in a room or styled for an instagram post. I guess you could consider this my personal Valentine's wish list. Note: Affiliate links have been used in this post.